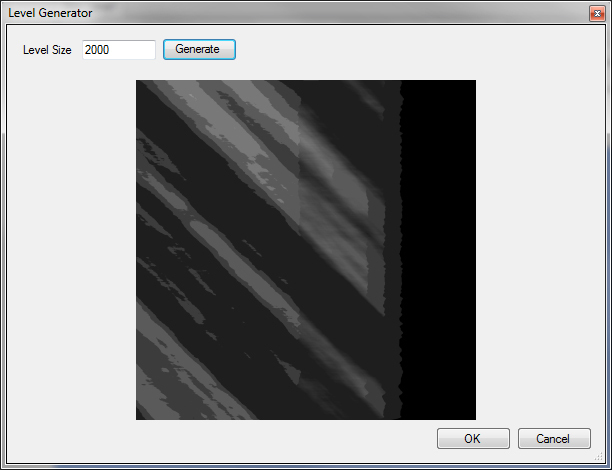 Noise maps are a tricky thing. The theory of it, as with everything, is pretty straight forward. Implementation, on the other hand, proved to be more than a day's worth of frustration. 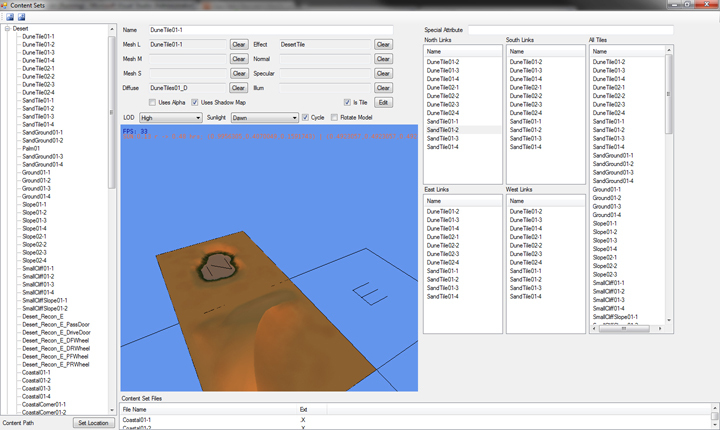 But I did come up with something usefull for generating the levels in Stingray. So, to achieve this, I've worked hard on the content set editor to facilitate both the actual linking and testing the linking. These screenshots also show the various elements that the drawing engine supports, although I haven't made maps for any of the slots except the diffuse. Testing the links is simple - you select the tile in the appropriate direction and it's drawn next to the tile being edited. 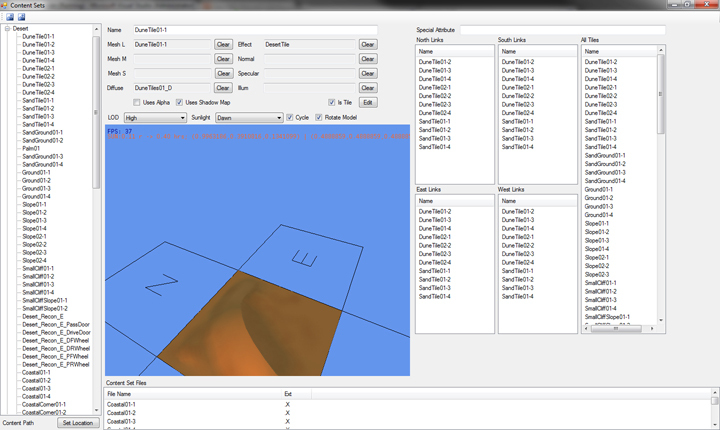 It's worth while to note that the coordinate system in XNA is different (Y-Up) from the modelling software (Z-Up). So, when modelling you have to remember that north becomes south, and west becomes east... maybe thats the future of world politics as well?